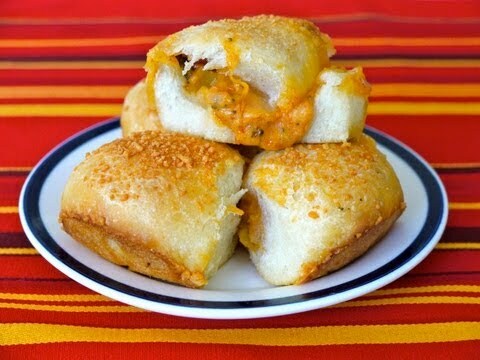 Stuffed Pizza Ball Recipe: http://bit.ly/Stuffed-Pizza-Ball Who doesn’t like pizza? Excatly. . . No One! Here is a great recipe that you can make with your kids that both of you will love. Were there any left overs? Let us know. Post your comments below. I'm not a big fan of traditional pizza…the thick crust is just DISGUSTING! I only like thin crust organic Parmesan and spinach pizza. I mean..someone has to be the food d.va here. You're so great with your son, I loved watching this! you look kinda like dove Cameron. Who agrees? Love it and kid he having fun what great mom you are !!!! The kid was playing with the dough. Also that knife… 0-0 but other than that I like the vid. I'll try to make it.